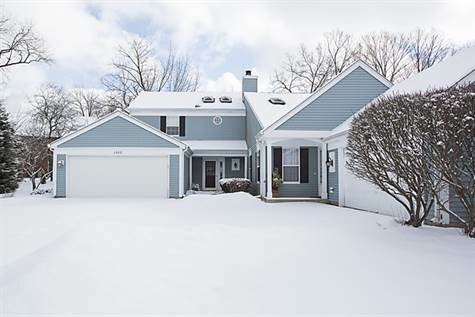 GREAT LOCATION - Walk to downtown Naperville and Riverwalk. Well kept duplex in desired complex. Flooring in Kitchen, Dining Room and half bath is engineered wood. This Unit has 2 skylights and large wooden deck. The Interior is bright and well cared for. The second floor loft can make for a great home office. Both bedrooms have ceiling fans. There is a gas fireplace in the living room. This Home is move-in ready and priced for a quick sale. All appliances are included.